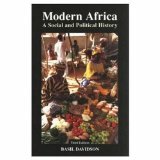 Book Description: Africa: Volume 1 begins a series of books which adopt a new perspective on African history and culture, surveying the wide array of societies and states that have existed on the African continent and introducing readers to the diversity of African experiences and cultural expressions. Toyin Falola has brought together African studies professors from a variety of schools and settings. Writing from their individual areas of expertise, these authors work together to break general stereotypes about Africa, focusing instead on the substantive issues of the African past from an African perspective. The texts are richly illustrated and include maps and timelines to make cultural and historical movements clearer, and suggestions for further reading will help readers broaden their own particular interests. Africa provides new perspectives that challenge the accepted ways of studying Africa, flexibility for instructors to structure courses, and encouragement for readers who are eager to learn about the diversity of the African experience. Volume 2, African Cultures and Societies Before 1885 provides a broad view of precolonial experiences and expressions in Africa. The book focuses on culture as a means of understanding both the traditions that thrived throughout Africa and the efforts of modern Africans to reclaim their cultural past in lands that have been divided and exploited by Western imperial powers. by Max Essex et al. Book Description In this stunning memoir, veteran Washington Post correspondent Lynne Duke takes readers on a wrenching but riveting journey through Africa during the pivotal 1990s and brilliantly illuminates a continent where hope and humanity thrive amid unimaginable depredation and horrors.